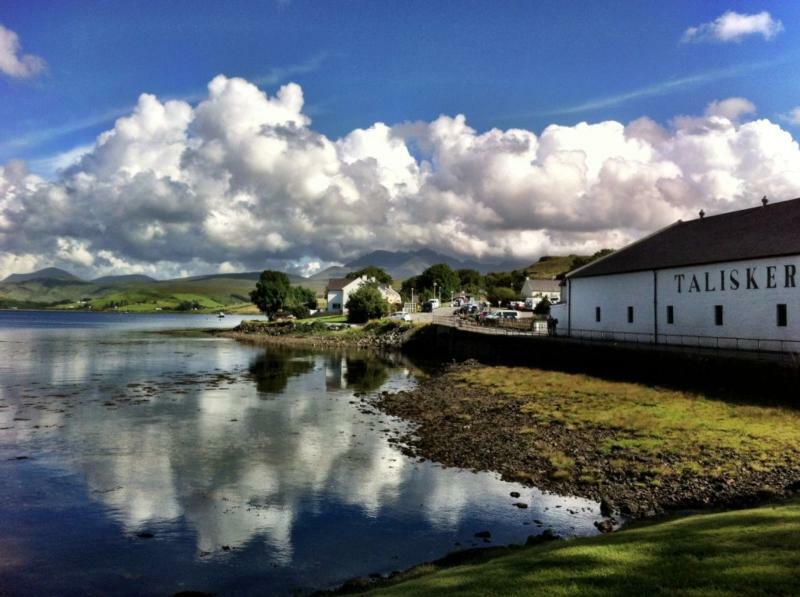 Talisker distillery is an Island single malt Scotch whisky distillery based in Carbost, Scotland--the only distillery on the Isle of Skye. The distillery is operated by United Distillers and Vintners for Diageo, and is marketed as part of their Classic Malts series. The brand is sold as a premium whisky. Whisky Advocate 90 "Fresh, vibrant. Appetizingly briny, with notes of seaweed, fishnets, lemongrass, smoke, and damp peat. A bed of light toffee provides contrast and balance. It finishes with a knockout punch: powerfully peppery and salty. This whisky remains a beautifully dynamic and bold whisky.